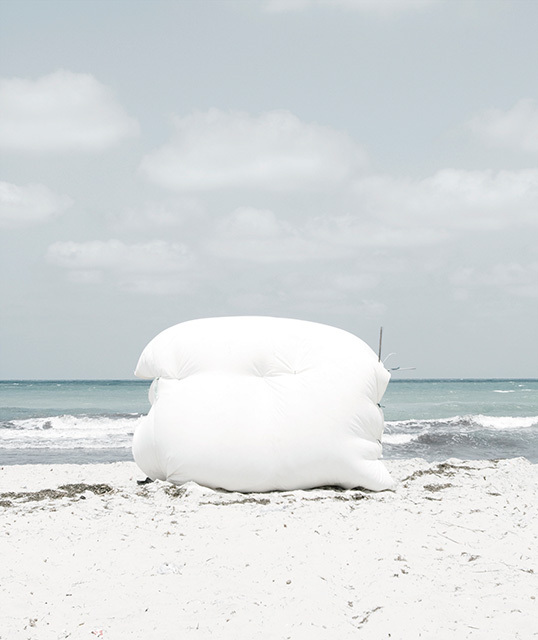 Strolling on Tunisian beaches during summer, Yoann Cimier was fascinated by the ephemeral constructions created by Tunisians visiting the seaside. To him, it is not a trivial phenomenon : each constituent element of these short-lived camps is a revelation. Observing how the local population takes possession of the seaside for a day, reflects the dynamics and diversity of Tunisian society. What concerns is the multiplicity and diversity of shapes made with an endless variety of recycled materials. An extraordinary plasticity that transforms a simple undisciplined recreational shelter object out with time, space and the established order. An in-between privileging the relationship with nature.